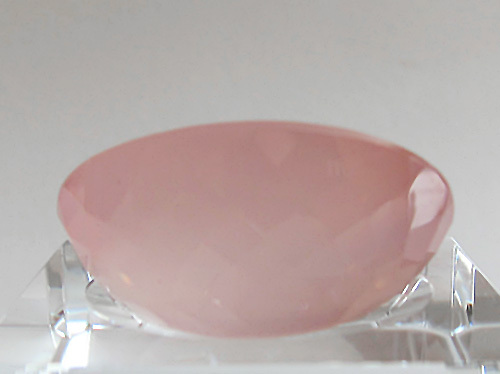 Dimensions (HxWxD): 1.5" x 1" x 0.625"
This gorgeous 87.32 carat Milky Rose Quartz Checkerboard Gemstone, weighing approximately 1/3 ounce, is the ideal size to hold in the hand during meditation. Energy healers can also hold this gemstone in one hand while giving a treatment or place the gemstone on the recipient's body in an area where additional support is needed. 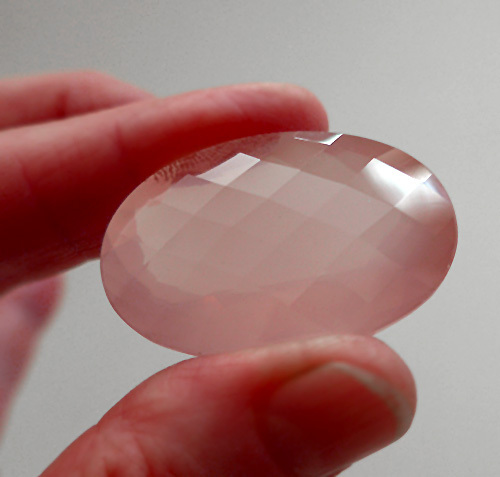 For mineral collectors and connoisseurs of fine gems, gemstone quality rose quartz is one of the most highly prized member of the quartz family. 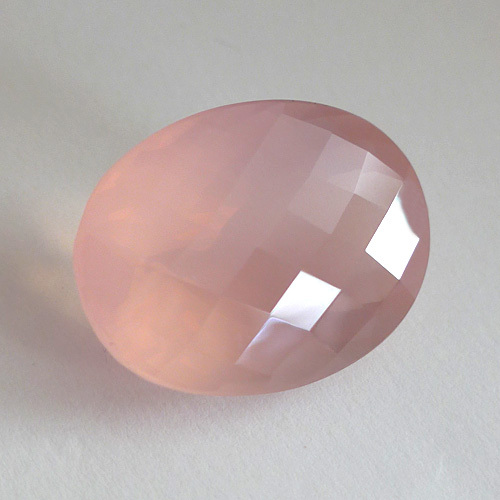 Gemstone quality rose quartz is quite rare, and extremely valuable. Only the very best gemstones are highly faceted, the rest are sold as "rough" specimens. Use this powerful gemstone with loving wisdom and respect its long journey in the Earth that has lasted for many long historical cycles. Accepting this gemstone into your life is a responsibility as well as a delight. The above weight is shipping weight. Net weight is 17.5 grams or .62 ounces.